Ormiston Herman Academy – Marvellous Maya! Ormiston Herman Academy > News > Academy news > Marvellous Maya! 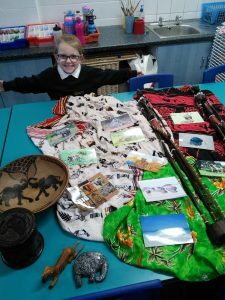 Following on from our topic Maya (Pioneers) brought in a huge array of items from Africa to show the class.